Please like my Facebook Page so that you do not miss any of my upcoming recipes. Garam masala as the name suggests is a blend of spices which raises the body temperature and hence, the name Garam Masala. 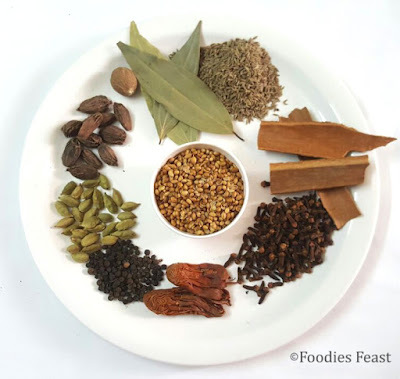 Garam masala is a very important ingredient if one has to make punjabi dishes such as kadai paneer, Baingan Ka Bharta, Gobi Aloo Matar, Fried Bhindi Masala and even in the paranthas such as Gobi ka Parantha and many more. I always prefer to make all the masalas at home rather than buying it from the market. As, the ones we get from the market are not pure in their ingredients as well as its aroma. 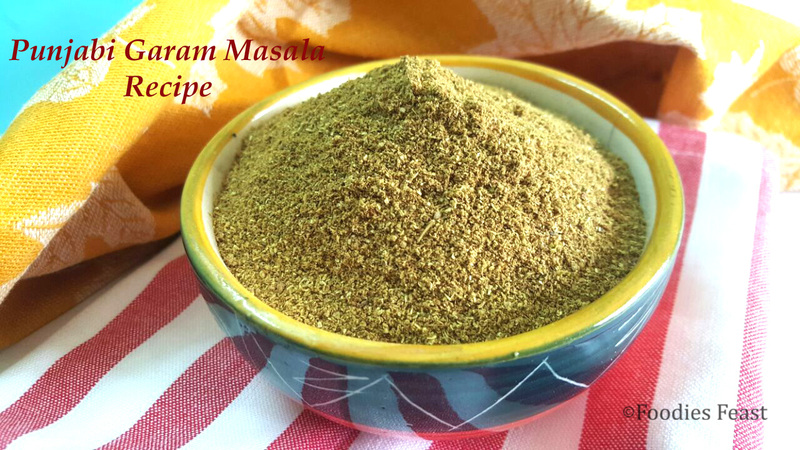 I have learnt this Punjabi Garam Masala Recipe from my mother in law. She being from Amritsar, Punjab has that typical authentic recipe of Punjabi Garam Masala. And, trust me, if you try it once, you will never want to use the market products ever again. 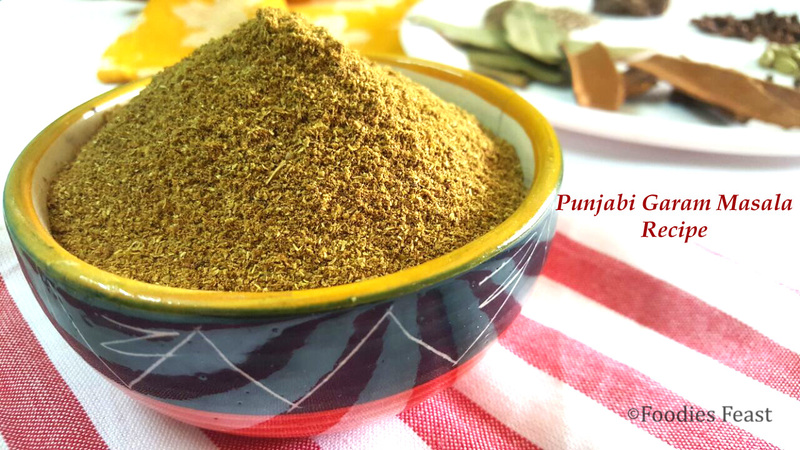 So, let us begin with the Punjabi Garam Masala Recipe straight from Amritsar.. The most important part of making Punjabi Garam Masala is the cleaning of all the ingredients. You need to check all the ingredients for worms, stones and other unwanted material. Always go for the good quality of spices while making masalas, as we need to store them. After cleaning the ingredients, they should be kept in the sun for about two days. But now a days it is not possible for everyone to get adequate sunlight. So, you can also dry roast them lightly one by one. Remember not to dry roast all the ingredients at one go. Do it one at a time. Then grind the roasted ingredients in the mixer. Sieve the mix and grind the coarse particles again. A very important tip which I would like to share is that do not use this Punjabi Garam Masala in excess in any of the recipes as it would spoil the taste of the whole dish. So use in adequate quantity to enhance the aroma and taste of your dish. Do try this Punjabi Garam Masala Recipe and add it in your dishes and make your family go food-a-licious. Please share your experiences and suggestions via comments..